In Case you missed it, these were the best images shared on our instagram page! 1. 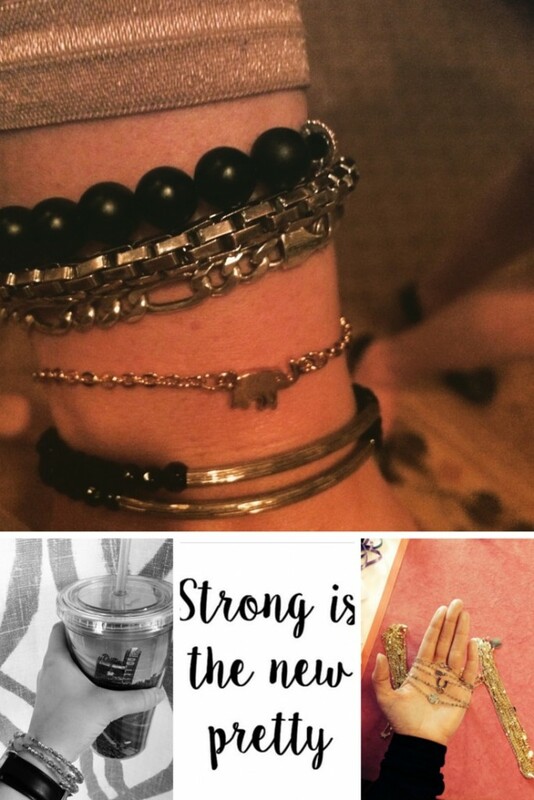 From the top- Samantha layered in bracelets, featuring our gold elephant bracelet. Made in USA. 2. From the left- Black and White photo. Gemstone bracelets. Phillies cup with a smoothie. Let’s conquer this day! 4. From the right- A selection of necklaces that I just received back from the plater. All necklaces plated in 22K American Gold & made and plated in America. I love designing and making jewelry in America. Have a wonderful weekend. What are your plans? It’s gorgeous out…so we are definitely going to be outside!